While this extension did not add a huge amount of floor area to the property, it made a significant improvement to the layout and general flow of the house. Through a relatively low-key side infill extension, this tightly arranged home was transformed into an open plan haven. 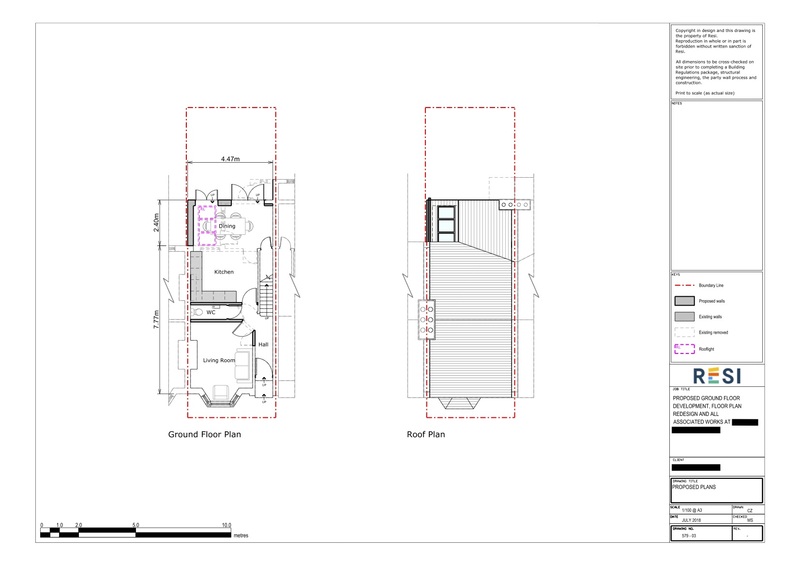 Our client requested that the extra space be used for an open plan kitchen and dining area, and that they also wanted to include a ground floor WC, but were not sure if there was enough space. This was all to be carried out in accordance with a modern style. I removed the walls separating the dining room and kitchen, and in its placed designed a large open plan area. Behind this there was room for a WC. In order to bring light into the home I added three skylights into the kitchen and dining room, with bi-fold doors looking out onto the garden. 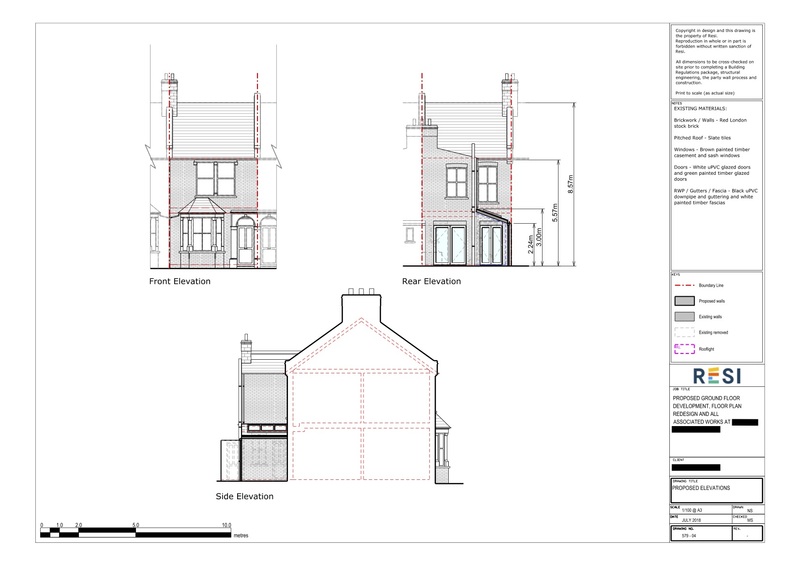 This extension and floor plan redesign really opened up the property, and provided a more logical layout.